When you start a new business one of the first things you need to do is come up with a name for it. When you decided to go into business you were probably focusing on operations: your products, services, funding, how to get sales, etc. Once you’ve figured out what you’re going to do you have to decide what to call it. That’s when you find out coming up with a business name takes some serious thought. Need some guidance? Read on . . .
You’re ready to name your business so you start searching for that “perfect” business name. You brainstorm for hours, have pages and pages filled with rejected names, go back and forth for days. Then, when you’ve all but given up: Eureka! You hit upon THE PERFECT BUSINESS NAME. You’re walking on air as you take it to your lawyer. . . and. 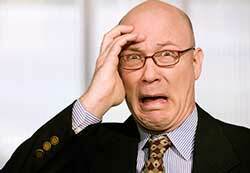 . . .your attorney does some voodoo legal analysis, nixes it, and sends you back to the drawing board! The air you were walking on turns into quicksand. NOOOOOO. . . . . WHY? I feel your pain. I have spent countless hours . . . days . . . months looking for a business name for a new venture I’m working on! In my quest, I have made endless lists of core marketing messages and philosophies for key words. I have hunted for a name that is easy to spell and remember. I’ve run endless searches for the perfect domain names. I’ve racked up more time with internet business name generators than time on Spider Solitare or Candy Crush. I have even mastered the art of Google AdWords campaigns to see what “clicks” (pun indeed)!!! 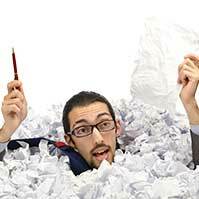 WHY was my business name rejected?” Read on to learn the answer you may have only half heard. P.S. Don’t try and fudge– I know you were only half listening! I had the same experience as the “client” when my marketing gurus immediately nixed almost everything off my business name list in a few minutes! I know how it feels so here’s your second chance to understand how to get it right legally. 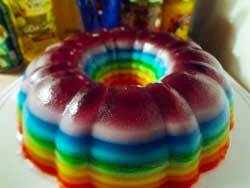 Growing up in Hawai’i, Rainbow Jell-O was a staple dessert at potlucks. You may know it as layered jello. 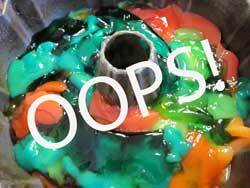 Rainbow Jell-O is made by creating thin layers of alternating Jell-O and white layers made of condensed milk. Rainbow Jello was always perfectly sliced into squares or rectangles as a finger food. As kids, we would spend our time trying to peel off the layers of Jell-O apart to eat (somewhat like we take our Oreos apart). Sticky but good. I just recently discovered layered Jell-O and can’t wait to try the adult version. The recipe for Rainbow Jell-O isn’t difficult. It’s just tedious because you have to time the recipe just right. If you wait too long between layers, they don’t stick together as well. If you don’t wait long enough, the lower layers don’t set well, and you risk turning your bottom layer into a sink hole for all the other layers to collapse into. The first time I made it as a mom, I discovered my refrigerator shelf was slanted to my rainbow came out lopsided! Selecting a good and legal business name is like Layered Jell-O: There are a lot of layers to it. Each layer has to be correct or you risk the whole thing caving in on you – sending you back to the drawing board. If it happens on one of your final layers, this could be a very costly reset. Does your business name comply with your State Laws on Business Entities? Every state has laws on what you can name your corporation or LLC. For instance, in Texas, company names cannot sound the same despite different spellings. Thus, Four Winds, Inc. is considered deceptively the same as 4 Winds, Inc. and For Winds, Inc.
Is your business name deceptively similar to that of a competitor that it causes customer confusion? Trademark Laws create a presumption that a company has the exclusive right to its business name, slogan, logo, shape, or even color so if you adopt something deceptive similar it infringes on trademark rights. You don’t want to invest your time and money marketing your business name only to cause yourself liability! Read more about what a trademark is here. 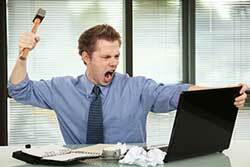 Is your related website name going to violate Internet Laws? The Anticybersquatting Consumer Protection Act makes it a violation of the law you register a domain name in bad faith with the intent to profit from the goodwill of another’s trademark or business name. For example, Naughtya Page, LLC was found to be liable when it illegally registered ESPN2.com and the domain name was transferred back to ESPN, Inc., the largest sports cable television network in the U.S., and owner of a second network called ESPN2. Have you checked Assumed Name Laws? Assumed Names are the “doing business as” laws on the State and county levels. They work like aliases for human beings. Need to know the Assumed Name Requirements for your state? Click here. Does your business name comply with your industry’s regulations? If your business is regulated by a license, permit, or certification, the related governmental agency may have related rules regarding your business name. Like cooks making Rainbow Jell-O, you and your lawyer should be considering these layers of the law together. You might have an easier time taking it one at a time–layer by layer– but you have to put all the layers together in order to get the final product right! It’s worth it, I promise! Want to know more? Ask us about our upcoming webinar “What the Fluff Should I Name My Business?” Limited Space Available. Contact Us for more information.